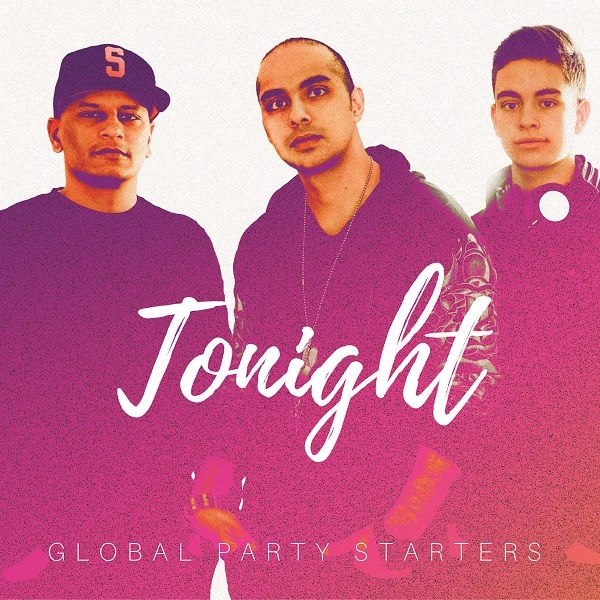 GET A COPY OF THE GLOBAL PARTY STARTERS LATEST ALBUM “TONIGHT” FOR JUST $9.95! …AND BRACE YOURSELF FOR THE FUTURE OF URBAN EDM. CLICK HERE TO DOWNLOAD “TONIGHT” NOW! Hailing from Vancouver, BC, The Global Party Starters were born when Juno-nominated producer, DJ A-SLAM met his match in the young DJ REKing, and knew they just had to collaborate. Together they comprise a no-holds-barred production crew who follow in the high energy footsteps of The Chainsmokers and Major Lazer, while maintaining elements of R&B, Pop, Hip-Hop, and South Asian musical influences. Their newest album “Tonight” is Urban-EDM fusion at it’s best. It features hard beats, tight storytelling, and catchy melodies, while keeping inclusivity at the forefront of the proceedings. “Tonight” features collaborations with other artists of colour, including several tracks with Platinum selling recording artist Elise Estrada. The GPS sound and style are the perfect combination of an “East meets West” aesthetic. Come join the tribe and click the order button below to download your copy of “Tonight” today! You will receive a digital download of “Tonight” via email, immediately after placing your order.